The government shutdown could wipe out first-quarter growth. Tone-deaf officials don’t help unpaid federal workers. Thousands of small businesses aren’t being paid either, and housing aid may run out. Absent a China trade deal, prices for consumer goods will go up, too. 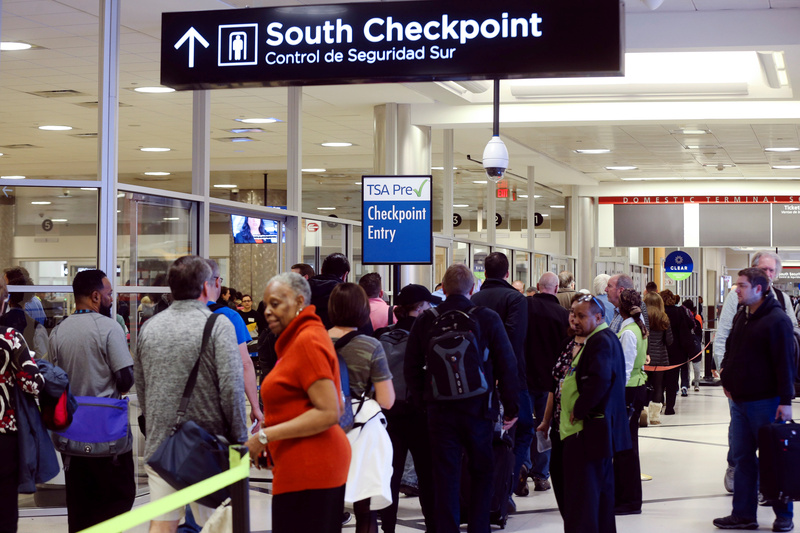 A line of passengers approaches a Transportation Security Administration (TSA) PreCheck security checkpoint at Hartsfield-Jackson Atlanta International Airport amid the partial federal government shutdown, in Atlanta, Georgia, U.S., January 18, 2019. The U.S. Senate on Jan. 24 voted on two bills aimed at ending the partial government shutdown, then in its 34th day. A bill backed by Democrats, who are in the minority, would have provided funding to open the government for three weeks, but did not include the $5.7 billion that President Donald Trump has requested for a wall along the border with Mexico. Another bill supported by many Republican senators would have allocated wall funding and temporarily protected certain illegal immigrants from deportation. Neither bill got enough support to proceed. Separately, Commerce Secretary Wilbur Ross told CNBC on Jan. 24 that he didn’t understand why some federal workers needed food donations, suggesting instead they should get a loan from a bank or credit union. About 800,000 government employees are on forced unpaid leave or working without pay because of the shutdown.